Welcome to the Holter Rental Program web page. We hope that this program helps to make screening for cardiac arrhythmias more affordable for BCOA member breeders and owners. Why would it be beneficial to use Holter testing as a part of a pre-breeding screening program for your dogs? Even though we have the powerful tool of cardiac ultrasound (Doppler Echocardiography) to screen for a variety of inherited and acquired cardiac diseases, this modality is not reliable for identifying the inherited cardiac arrhythmias that can lead to sudden cardiac death and may only identify dogs at risk for Dilated Cardiomyopathy (DCM) a few months before clinical symptoms appear. The Holter monitor records a 24 hour sample of the heart's electrical activity. This allows you to screen for inherited cardiac arrhythmias that would otherwise remain hidden and has the potential to catch dogs at risk of developing DCM earlier than it is possible through a Doppler echocardiogram. Another purpose of the Holter Rental Program is data collection. If you want to know why we are gathering Holter reports and heart health information on borzoi, please go to this page: Why Share Results? Rental pricing is offered in two tiers. $70 for the first dog and $60 for each additional dog tested during the same mail-out for those who do not wish to share their Holter report/ future cardiac health of their dog. $40 for the first dog and $30 for each additional dog tested during the same mail-out for those who would like to share their Holter report/ future cardiac health of their dog. Any BCOA member in good standing may rent Holter equipment from BCOA. Read the BCOA Holter Rules thoroughly. If you do not understand them, ask questions. You will be expected to follow these rules. Please understand that these rules include the assessment of penalties and replacement costs, so it is very important you understand the rules before you rent a Holter. Decide if you are going to share the results. If so, you get the discounted rate. If not, select the regular rental rate. Complete the Holter Rental Agreement and send as instructed. Make the appropriate payment either through the BCOA Online Store or through a check to the BCOA Treasurer. 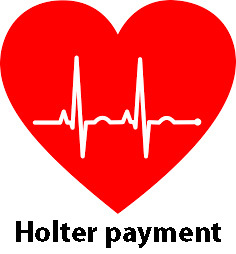 Once receipt of all forms and payment is confirmed, schedule your Holter rental.